Searching the web for hotel rooms in Gassin? What about Odalys Résidence Caesar Domus Apartment. There are many great attractions near this hotel, including Musee de l'Annonciade, La Maison des Papillons, Saint Tropez Citadel and Pampelonne Beach. Other attractions in the area include Les Salins Beach and Cave des Vignerons. 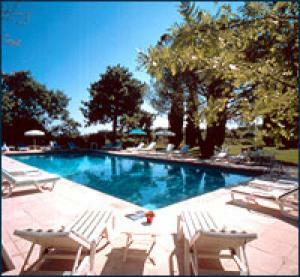 This Gassin hotel offers an outdoor pool, laundry facilities and a front desk available during limited hours. You can find a sauna on site so you will be able to take some time out to de-stress and loosen up. Wireless Internet access is available for a surcharge. Self parking is provided. Other amenities include a patio. This property has provided all content and is solely responsible for its accuracy.